Following a sports update, Washington Post contributor Josh Planos shares his thoughts on the upcoming major bowl games. Ed Marlowe of the Paducah Sun talks Racer basketball. A recap of the Racer-Evansville game with post-game comments from Murray State head coach Matt McMahon, and a look at this past weekend’s OVC games. 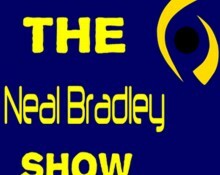 Following a sports update, the Paducah Sun’s Ed Marlowe joins Neal to talk Racer basketball and high school hoops. Following a sports update, Washington Post contributor Josh Planos joins Neal to talk about the College Football Playoffs and other selected bowl pairings. We recap the Racer game with Detroit complete with postgame comments about the win from head coach Matt McMahon. Also, an update on the OVC standings for men and women, and other regional sports news. A sports recap with a focus on OVC basketball action last night. A sports update including post-game comments from Murray State head coach Matt McMahon following the Racers loss at SIU. Then, Ed Marlowe of the Paducah Sun drops by to talk Racer sports and high school basketball.